Planning to make your first automobile investment? If you are interested in buying a mid-size crossover SUV, you’d better choose a credible automaker that manufactures top-quality vehicles. This car company is a good choice for SUVs. Not only this automaker stands as the second-largest manufacturer of cars in Korea, but this company has proven itself to many car customers by gathering 2.7 million of automobile sales in 2012 alone, and 2.75 million in the year 2013. If Kia is your primary pick, you’d better go for the Kia Sorento. From the first generation (2003-2010) that boasts of a conventional body-on-frame SUV that is truck-based to the re-designed second generation (2010-2015) model that is no longer a truck-based vehicle, but a unibody frame, the car model has once again moved to a higher level on its third generation (2015-present). Having its debut on August 28, 2014, the third generation of this vehicle made its debut in Korea and later had another European debut at the Paris Motor Show. 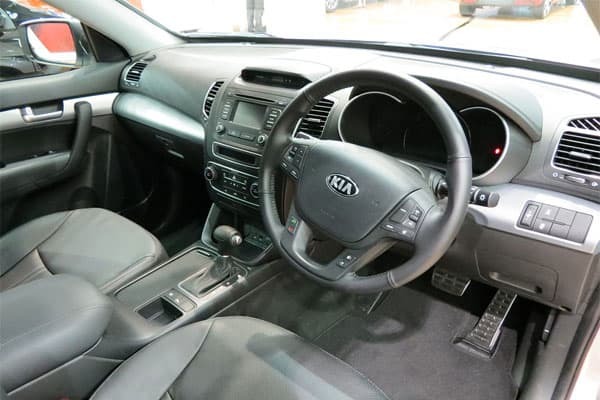 With the same platform as the 2015 model of Kia Carnival, the Sorento now boasts of a 5-seater or a 7-seater option that depends on the automobile’s configuration. As much as you’d like to learn all about the Sorento line-up, you surely would not buy all of them, right? So, this article will only delve about the best and latest version of Kia’s popular mid-size crossover SUV: the Kia Sorento 2016. Keep reading and discover what’s in it for the third-generation automobile. Although Kia Motors Corporation completely re-designed and re-engineered the Sorento in several smart ways, you might think that its exterior did not change much. Don’t be fooled merely by looks because the car’s exterior is all about buffed up metal quality. 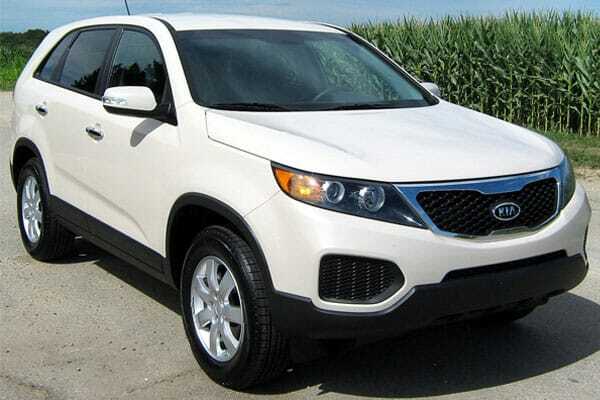 The automaker claims that Sorento is built 14% stronger in rigidity because a high tensile steel is used. This claim is proven true as the model gathered impressive evaluation in a small overlap crash that was done by the IIHS. While the Kia Sorento 2016 falls on the family-crossover category, its subtle aesthetic changes might not impress you if you’ve been familiar with its predecessor model. From all angles excluding its side exterior, you might notice that it still looks familiar with the 2015 version. However, you’ll see that the grille is made more prominent and noticeable. It sort of has a stronger look than its older models. The front and back exterior are given with upscale details while the sides remain with a subtle softness in designer’s perspective. Taking a close look on the new Kia Sorento 2016, you’ll find the headlight array narrowed, but this car manufacturer decided to build fog-lamp pockets and lower air intake stand out at a more obvious level. Moreover, the LED positioning lights and the taillights add to the vehicle’s aesthetic. Generally, Sorento’s aerodynamics has improved in its re-designed exterior because of the vehicle’s sculpting and grille. Kia Sorento 2016’s interior gives you two options in terms of seating capacity–a 5-seater or a 7-seater automobile. The vehicle’s usefulness depends on your needs. If you are a family guy who’s looking for a vehicle that can carry more than 5 passengers and still have enough space for extra luggage, then a 7-seater is a practical choice. But if you are a bachelor who needs a utility vehicle for your regular travels around the city or interstate, a 5-seater will do. Inside the vehicle, the spruced up interior is noticeable. Apparently re-designed with a sophisticated look, the cabin of a Kia Sorento 2016 is impressively decent. The trims are crafted with soft-touch quality that the driver and passengers will surely find comforting. Even better, the materials used in the trims are high-quality, giving the interior an upscale look for a mid-size crossover SUV. On the vehicle’s top trims, there is now an 8-way adjustable power passenger seat. This feature adds to the passenger’s comfort because it enables the lower cushion to be height/tilt adjustable. As for the Sorento 2016’s second row, you’ll find it easy when getting in. Unlike the front row, the second row feels somewhat lower and closer to the floor. The seats are also short-built and the lower cushion has a firm feel. Although some vehicles’ second row seats are perfectly contoured for any passenger, Kia Sorento’s seats seem to be bench-like seats that are crafted for seat folding. Thankfully, the second-row seats’ design for flip-forward function is good enough when you want to get extra cargo space or you want to get to the third-row seats. Moreover, the SX-L version even has the “power folding” that provides an easy-reach control of the vehicle’s tailgate. As for the second row’s headroom, you might be disappointed to know that it is a bit tight. But worry not, this is intentionally designed for the Kia Sorento’s panoramic moonroof. The third row, on the other hand, is impressively good as it gives a decent amount of seating capacity. However, third-row passengers might need to be a little flexible when getting in. With the climate and navigation controls that are equipped in user-friendly control pods, the interior undoubtedly gives a homey feeling. The audio controls are also neatly placed for easy navigation. The front seat dash is also spruced up. It is placed a little lower than the previous models’ dash, but the 2016 version’s critical controls, thankfully, are placed higher. If you will notice in the SX and SX-L Sorento models, the driver’s seat are now equipped with thigh bolsters that are extendable. This feature will be of great use for tall drivers. The second-row seats are conventionally made just like any other two- or three-row SUVs. However, the Kia Sorento 2016 has a storage system located underseat for the two-row models. Kia Motors Corporation also decided to implement the “horizontal plane” logic on the vehicle’s interior design. The vehicle’s beltline wraps starting from the front door trim and going around the instrumental panel. The designs looks good and equally useful. Noise suppression and suspension are also two of the things that you’ll love about Kia Sorento 2016. With the automaker’s effort to focus on these features, driving a Sorento now feels a quieter and more comfortable while keeping wind and road noise at bay. There’s no need for an active noise cancellation and driving experience is also highly under control. L – This is the base model. It has a 6-speed Automatic Transmission, a 2.4-liter GDi I4 engine at 190 horsepower. The model comes only in a front-wheel drive. LX – Considered previously as the base model, this version is currently an upgrade from 2016’s base model. It comes in an all-wheel or front-wheel drive and has a 3.3-liter Lambda V6 engine at 290 horsepower. EX – This is the mid-level model. The vehicle comes in a 2.0-lter turbocharged I4 engine at 240 horsepower. For this version, the V6 engine can also be an option. SX – If you’re looking for a top-of-the-line Sorento model, this could be a good choice. It has the standard V6 engine and it also comes with useful features such as the Infinity Sound System and the navigation system. SX Limited – Also known as the Limited, this is considered as the best Kia Sorento 2016 model. This version can be purchased with I4 as the standard engine. However, V6 could be an option, too. Other features are available such as the standard sunroof, heated front and rear seats, ventilated front seats, and seating surfaces that are made from high-quality Nappa leather. Taking the driver’s seat and giving the Sorento a test, you’ll discover that the vehicle improved a lot better than its predecessor models.. The way the engine has been re-engineered will be apparent by the way the automobile performs and responds. Compared with the earlier model, the Kia Sorento 2016 (including Kia models in general) is one level better when it comes to steering. You will also find out that the latest Sorento offers better center-tracking, has firmer suspension, has enhanced brake feel, and has a tougher body structure. The Sorento 2016 also offers a more composed ride. Long and short of it, the Kia Sorento 2016 is better in handling than the previous models. If you’re thinking about driving your Sorento off-road, you might want to reconsider that. It is somewhat disappointing to say that the Kia Sorento 2016 is not primarily built for off-road driving. Although bulky in size, the model is not engineered for that tough-kind of road condition where mud, rocks, and rough roads are present. Thankfully, the model offers great specifications when it comes to driving in snowy conditions or “soft-roading”. There is a 7.3-inch ground clearance function and it also splits the power by 50/50 using the diff-lock mode function. The Kia Sorento 2016 is also enabled for towing–while in V6 versions, these can tow up to a whopping 5,000 pounds of weight. Now, going to the vehicle’s safety, the Kia Sorento 2016 is not just built for size, engine, and performance–it is also built to provide the driver and passengers the utmost safety it can offer through its high-performance safety functions and top-quality materials used for beefed up security. The vehicle’s safety equipment line-up comprises of front-seat air bags that are mounted, air bags on the side curtain that are equipped with rollover sensor, an electronic stability control function (for anti-lock brakes that are also engineered with electronic brake force distribution), active headrests on the front, and the Hill-Start Assist function. As for the EX, SX, and SX-L models, Sorento has a back-up warning system. Even better, there are also improved features like the blind-spot warning system and the cross-traffic alert. These additional features are standard in the SX and SX-L models, while you can opt to adding these on the EX model. 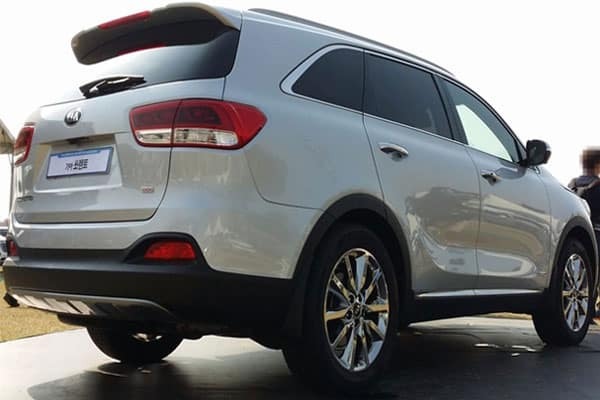 Kia Sorento 2016’s top models even have innovative features such as the following: Smart Cruise Control, Lane Departure Warning System, Around View Monitor, and the Forward Collision Warning System–all of which are useful for the driver’s and passengers’ safety. When it comes to fuel economy, it is safe to say that you’ll get more mileage with the Kia Sorento 2016. Although this model does not have a diesel variant or even a hybrid version, what it boasts of is the direct-injection engine that are apparently fuel-efficient. That is why even if the vehicle has a huge weight for a 5- or 7- seater, you still won’t have to splurge a lot of cash for the fuel budget. There are equipped measures that adds up to fuel economy like the air deflectors in the front and rear and aero panels that are placed underbody (to minimize the coefficient of drag at a rate of 0.33). At highway mileage, the Kia Sorento 2016 can give you 30mpg with its 4-cylinder engine (front-wheel drive). Now, that is impressive! Would you buy a Kia Sorento 2016? If you’re looking for a functional mid-size crossover SUV that’s fit for a family, then yes. But if you’re all about off-roading, you’d better look for a different vehicle. The Sorento is overall a good pick, a practical vehicle that gives you an all-in-one package. It is sturdier, has better mileage, it comes with great functions, is built with beefed up safety, and looks impressively cool. What more can you ask for? If the budget is already at hand, better dash to the nearest Kia car dealer and purchase this big baby!